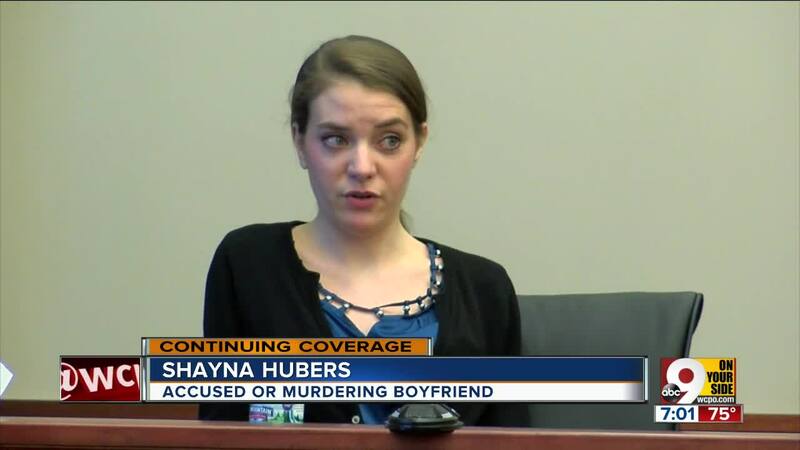 COVINGTON, Ky. -- Shayna Hubers on Wednesday became a surprise witness in her own murder retrial, attempting to counter the prosecution’s depiction of her as a dangerously obsessed hanger-on who preferred a dead boyfriend to a breakup with a more sympathetic alternative: A traumatized abuse victim who killed her abuser to save her own life. Both prosecution and defense agree that Hubers shot Poston to death inside his Highland Heights apartment building Oct. 12, 2012. Due in part to erratic behavior recorded in police interviews immediately after his death, she was charged with murder, found guilty and sentenced to 40 years in prison. Only the revelation that one of her jurors had been a convicted felon allowed her another chance at freedom. 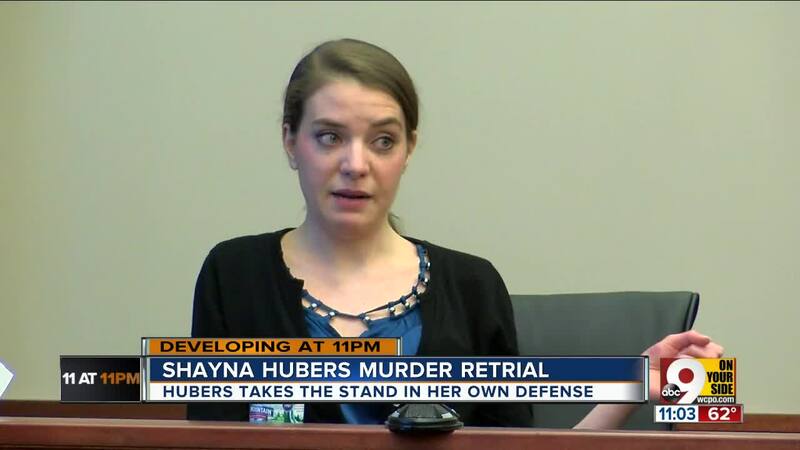 Hubers did not speak in her own defense during her first trial. Perhaps hoping her firsthand testimony would lend emotional resonance to their argument that she was a victim of long-running physical abuse at Poston’s hands, her defense team allowed her to take the stand Wednesday and describe a relationship she claimed was characterized by fear and violence from the moment they met. Hubers said she and Poston became Facebook friends in March 2011, and she invited him to her 20th birthday party. She testified that Poston wanted to go to another bar, and he grabbed her wrist with a tight grip. "I remember thinking he had a strong personality and what is -- I feared him -- I felt like I needed to do what he was telling me to do," Hubers said. "Once we got there, we were sitting in a booth at this tavern. I recall Ryan -- I had on a dress -- and I recall Ryan reaching under my dress, grabbing one of my thighs and making a comment about my thigh that felt inappropriate or vulgar for how little I knew him in person." Hubers said she went to the bathroom to get away. "My phone had died and I asked another man if I could use his phone and I called a cab and I left," she said. In another instance, Hubers said she went to Poston's condo to confront him over rumors he had spread about her. The defense also attempted to preemptively answer questions likely to come up during the prosecution’s cross-examination. Why, for instance, was she recorded giggling and singing when police left the room during her initial interrogation? “I have a bad habit of nervous laughter,” she said. Why did she text a friend days before Poston’s death that she wanted to kill him and pretend it was an accident? Defense attorney David Eldridge asked Hubers to describe her early years, and she depicted herself as an abused child. She said she was sexually assaulted by her father and a neighborhood child as a pre-schooler and again, this time by a stranger, in high school. She said the plain clothing her parents made her wear and her stature -- she was 5-feet, 9-inches tall by middle school -- made her an easy target for ridicule. "Because I was so thin and tall, the other kids made up rumors that I had an eating disorder,” Hubers said. Hubers said her mother tried to tell her other kids didn't like her because she got good grades, but that left her feeling invalidated. Worse still was the feeling of shame that followed her after the assault at a 2007 high school football game, she said. Hubers: "I was sexually assaulted in the restroom by a stranger and was pinned against the wall in the bathroom — in a handicapped stall." Eldridge: "Did you report that to anyone?" Hubers: "No, because one of my close friends had been assaulted sexually her freshman year and she told the other children at school about lt and she was made fun of and labeled promiscuous for several years and called names. I didn’t want to be treated differently like she was." Eldridge: "If you didn’t report it ... did you tell your mother about it?" The defense is expected to present testimony from psychologists that Hubers has a history of sexual abuse and post-traumatic stress disorder. Earlier, there was a tense moment in the courtroom Wednesday morning when the defense asked for a mistrial that could have required still another restart. Eldridge was cross-examining a prosecution witness, New Jersey crime scene expert Howard Ryan, when Ryan mentioned his fee in the first trial. According to the ground rules for the retrial, neither side was supposed to mention the first. Defense attorney Zach Walden argued that Ryan's slipup violated the judge's order and biased the jury. "They know there was a retrial now," Walden argued. 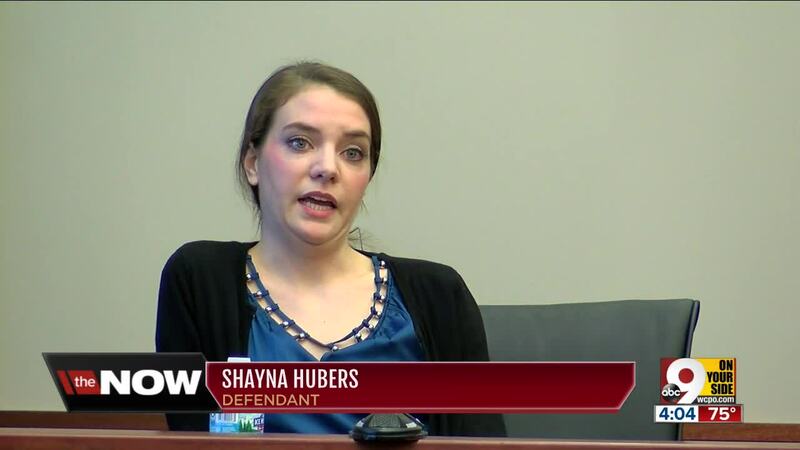 "They know that Miss Hubers spent time in jail. Her presumption of innocence has been stripped of her." 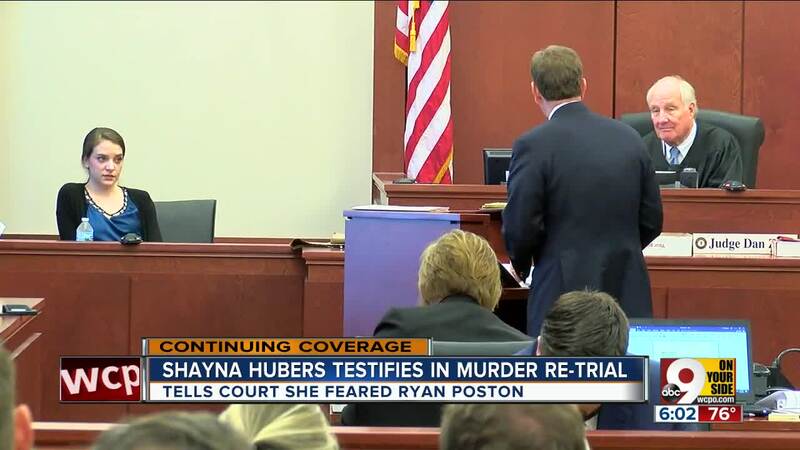 Prosecutors quickly claimed that Ryan's comment would have no impact on the jury. Hubers: Judge Daniel Zalla, "The court finds that statements alone (about retrial) will not impede the jury's ability to remain impartial during this case and therefore there is no manifest necessity to grant the defendant a mistrial." @WCPO Defense motion denied. "The court has the following matter to read to you. In his testimony Mr. Ryan referenced that this matter is a retrial. You shall not consider that testimony regarding any retrial in your deliberations and make no inferences therefrom." Hubers did not recount the actual shooting Wednesday. Testimony could continue Thursday followed by closing arguments. Jury deliberation could last into next week.